Stainmaster Carpet Pad is designed to increase the life of your carpet through adsorbing foot traffic, reducing wear and tear, and improving the comfort level of your carpet. In addition to improving the general characteristics of your carpet, Stainmaster Carpet pad protects your floor from moisture and allows easier clean-up of spills. 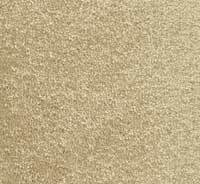 Stainmaster Carpet Pad features Hytrel, a breathable moisture barrier from Dupont. This makes cleaning your carpet easier as it protects the subfloor from damage and prevents spills from returning to the surface, a common problem from recurring stains. Stainmaster Carpet and Stainmaster Carpet Pad work seamlessly to keep your carpet fresh, clean, and beautiful for years to come. When spills occur, Stainmaster carpet repels the spill from soaking into the carpet fiber while Stainmaster Carpet Pad prevents the spill on top of the pad. Not only does this allow it to be removed quickly, but it prevents your subfloor from absorbing the spill to fight against reappearing stains. 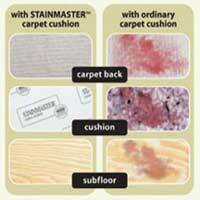 For a complete odor and stain prevention system, use Carpet Odor and Spot Remover along with your Stainmaster pad. They are designed to work seamlessly together. 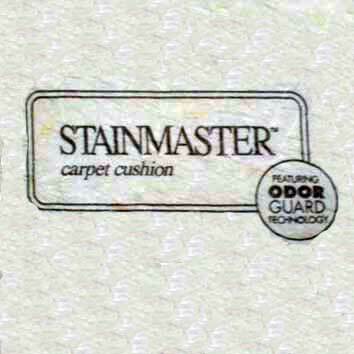 Stainmaster Carpet Pad is the only carpet pad which will add more years to your Stainmaster carpet warranty. Many Stainmaster Pads also come with Odor Guard technology to help eliminate odors from your floor.